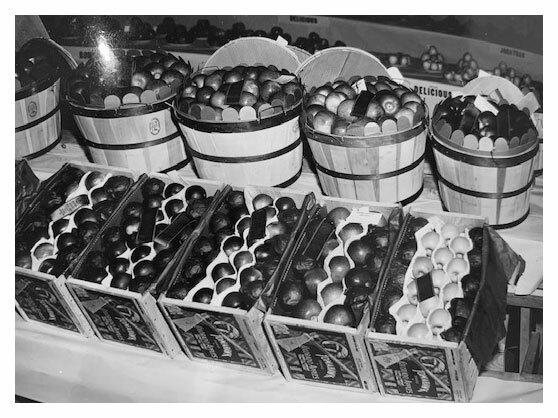 Our family’s long history and experience in the orchard business spans over 107 years when family patriarch, Pap Williams, began growing apples and stone fruit in the early 1900’s. Since then five generations of the Williams family have contributed to the growth of the family’s 6130′ elevation orchards and vineyards, which are now over 500 acres. In 2014 we began the process of creating our award-winning Snowcapped Ciders. We started with exceptional fruit from our family orchards. Then combined our knowledge and experience, with our love of great tasting food and beverages to create our signature series of hard ciders. Our high-quality cider-specific fruit is grown in Colorado following authentic orchard-based English and French styles, thus eliminating the need for added artificial sugars to achieve a clean, fresh taste. The many decades as a commercial fruit growing and packing company, have provided us a unique opportunity to develop the expertise and capacity to oversee our fruit-growing and cider production process. We were first in Colorado fruit growing history, to use innovative growing techniques to maximize the natural flavor of each fruit, as well as the quality, quantity, and variety of fruit produced. Over 100 varieties of apples and 40 varieties of peaches have been grown on our farms, introducing many heritage style varieties and cider specific fruit through the years. The love for fruit-growing is in our blood. Today, Ty manages fruit growing practices and oversees cider production, Kari manages sales and marketing; and the kids, now adults and the 5th generation, work hard assisting with orchard and vineyard management, packing logistics, and cider related festivals. Kari shares her passion as a board member for the Colorado Cider Guild, advising in marketing, distribution, and sales. Williams Family orchards are located at the bottom of Grand Mesa in the beautiful Surface Creek Valley of Colorado’s Western Slope. At an elevation of 6130 feet, we are one of the highest elevation orchards in the world. The high elevation, warm days, and cool nights capture the crisp taste of Colorado, producing a clean, and balanced cider. Stop by the Apple Shed in Cedaredge, Colorado, our 100-year-old packing facility and historic building. Explore the gallery of local art, enjoy a bite at the restaurant and visit the tasting rooms to sample our Colorado grown and produced ciders. Drink What We Grow – and Enjoy!